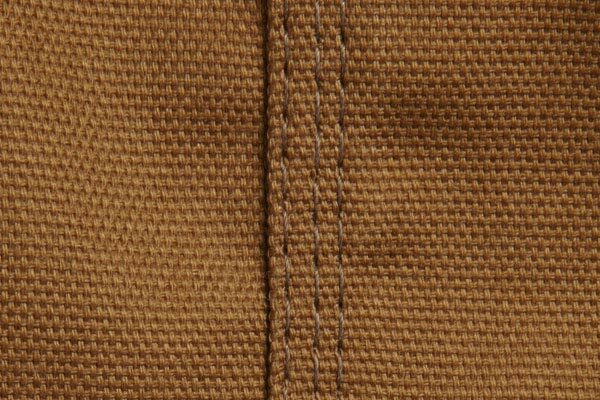 Carhartt SSC[PATTERN]CAGY - Carhartt Duck Weave Seat Covers - FREE SHIPPING! 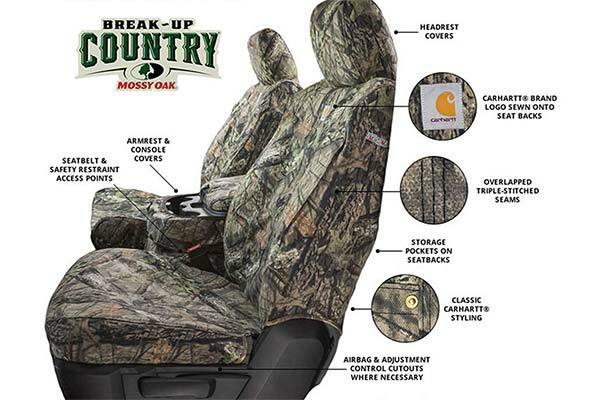 I absolutely love the seat covers. 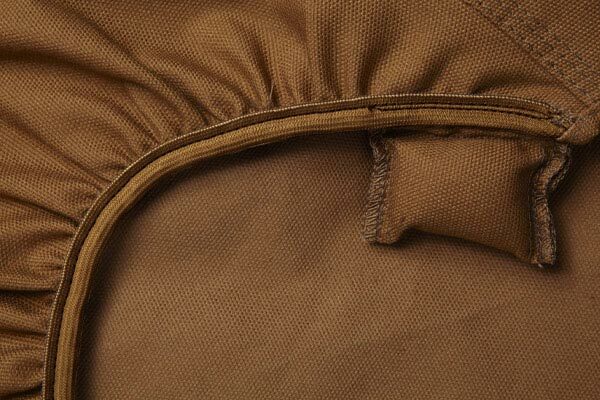 You can tell they are genuine carhartt material and will last for many years. I bought these to protect my seats in my brand new Silverado since we have 3 dogs. 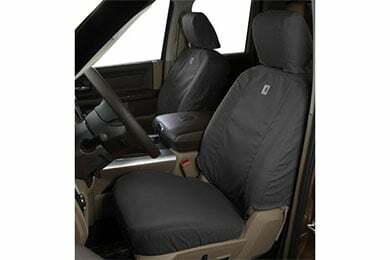 These are probably the seat covers on the market as far as durability price and looks. These are a tough fabric for a farmer. I had a few issues with the installation. 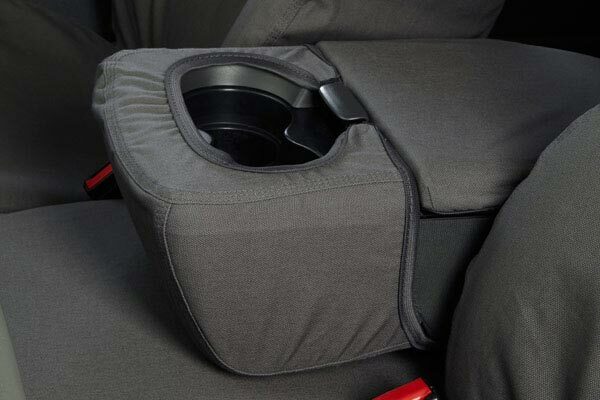 The headrest covers are a very tight fit so the velcro doesn't quit reach. The armrest covers fit extremely tight. I had to use a pliers to help pull them on. After a couple of weeks of having the front seats complete they seem to becoming very loose (need to adjust).The back seat cover had very poor installation instructions. It took over an hour of trying one way then another to attach the straps. This was a Christmas gift for my husband. Unfortunately the surprise was not a surprise due to the way it was mailed. Carhartt is a good brand and hope all will be good. Love the color and quality seems good. Will know more after Christmas. 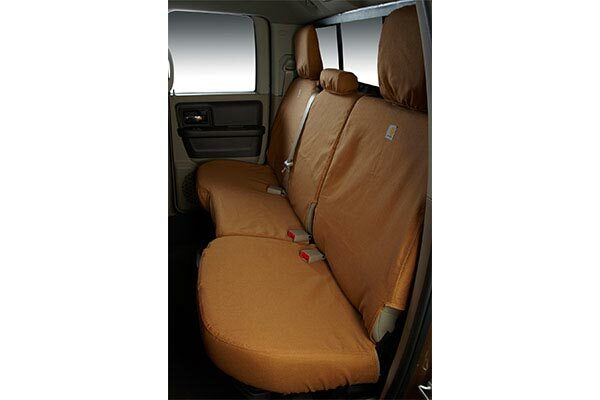 The seat covers are very nice and high quality. Fit Ram 2500 Power Wagon much better than expected. Pictures show creases and wrinkles. Those come out after a day or so. I'm pretty picky about the details and these were a great buy. Very happy with tight fit, don't sag or bag. 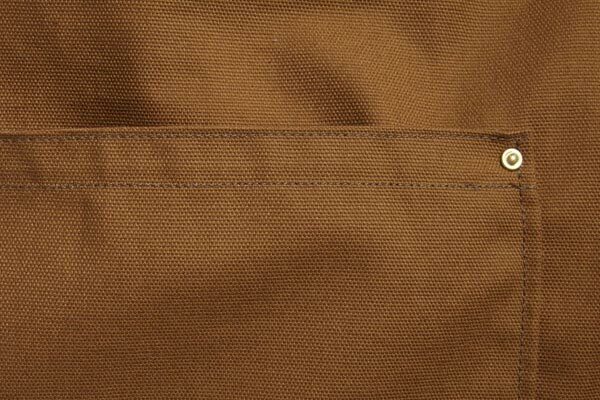 Double stitched strong seams. Well worth the extra bucks!!! Pleasantly surprised at the quality and durability of these seat covers. Fit well and fairly easy to put on. 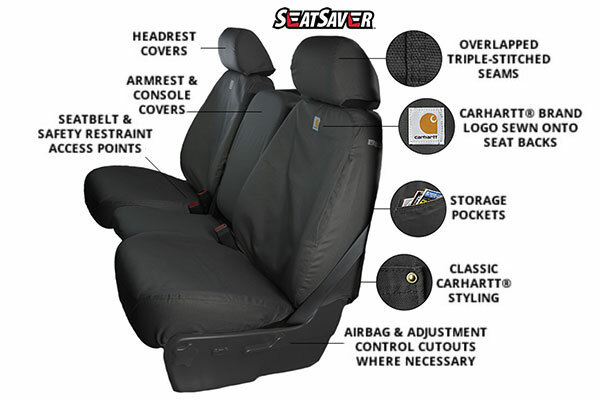 Definitely would recommend these seat covers! I am very pleased with my new Carhartt Covers they have a great fit and do not slide around. Easy to install and look great! Comfy and bullet proof! Awesome!! The covers fit my Titan XD perfectly. 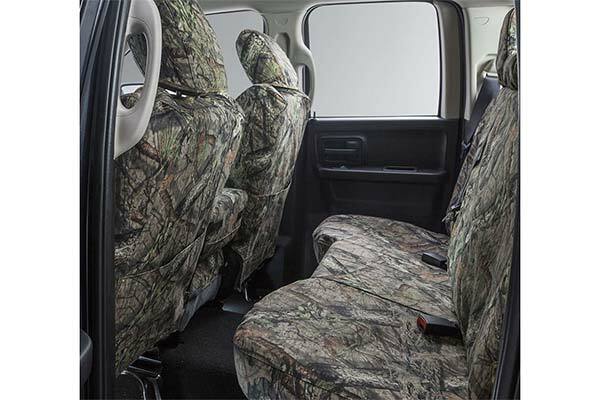 These seat covers are excellent. Fit extremely well. Thickness of the fabric is especially good for me because I am a self-employed carpenter. The color was perfect and goes very well with the interior X terrier of my truck. 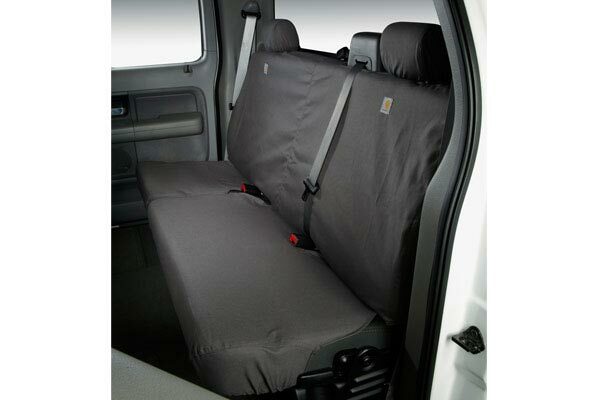 I would recommend this purchase to anyone who wants a high-quality seat cover for their vehicle. Good quality but over priced because of the little Carhartt logo. 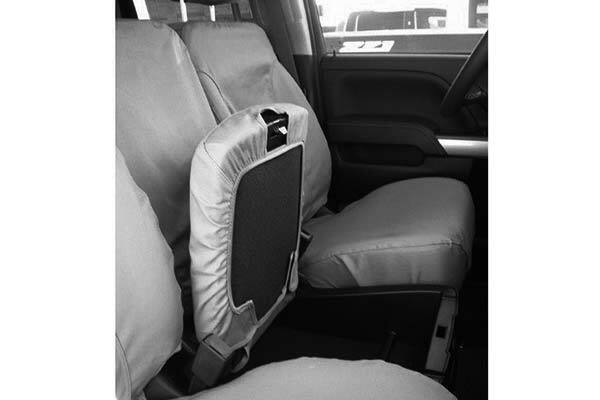 Great quality- love these seat covers- exactly what I wanted and expected. Fit great and pretty easy to install. Great product like the pants! 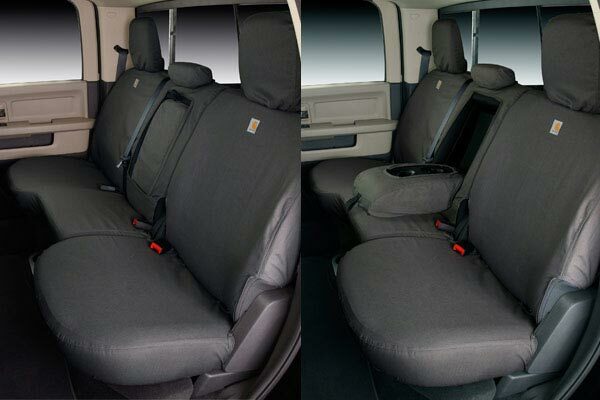 I think these seat covers are incredibly durable, and I had no problem fitting them onto my specific vehicle. I can see them lasting for several years, and they are machine washable. Reference # 753-511-750 © 2000-2019 AutoAnything, Inc.